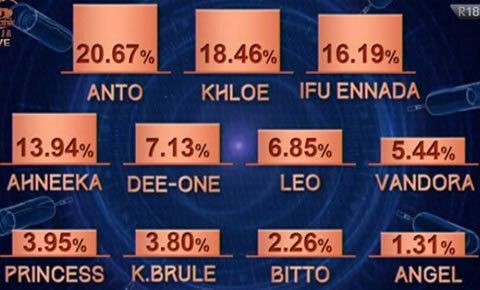 Here are the official voting results of Big Brother Nigeria 2018 week 7. 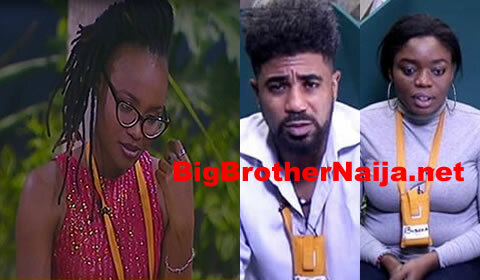 This week’s voting results indicate that Miracle received the highest percentage of votes while Anto received the least percentage of votes and that is why she has been evicted from the house tonight [Read more about that here]. Well lets proceed and take you through more details of Week 6’s voting results below. 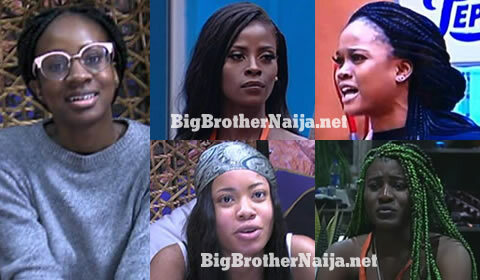 The voting results indicate that Miracle received the highest percentage of votes, 27.98%. 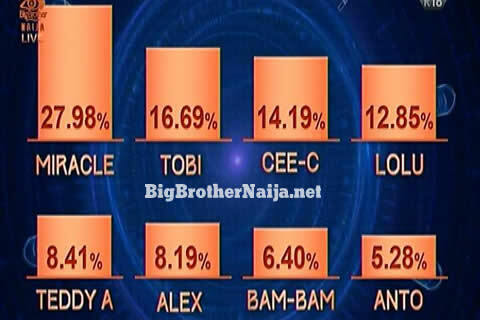 Tobi came in second position with 16.69%, Cee-C came in third with 14.19%, Lolu came in fourth with 12.85%, Teddy A came in fifth with 8.41%, Alex came in sixth with 8.19%, Bambam came in seventh with 6.40% and lastly Anto received just 5.28%. And once again, thank you all for voting and we wish Anto the best in all her future endeavours.